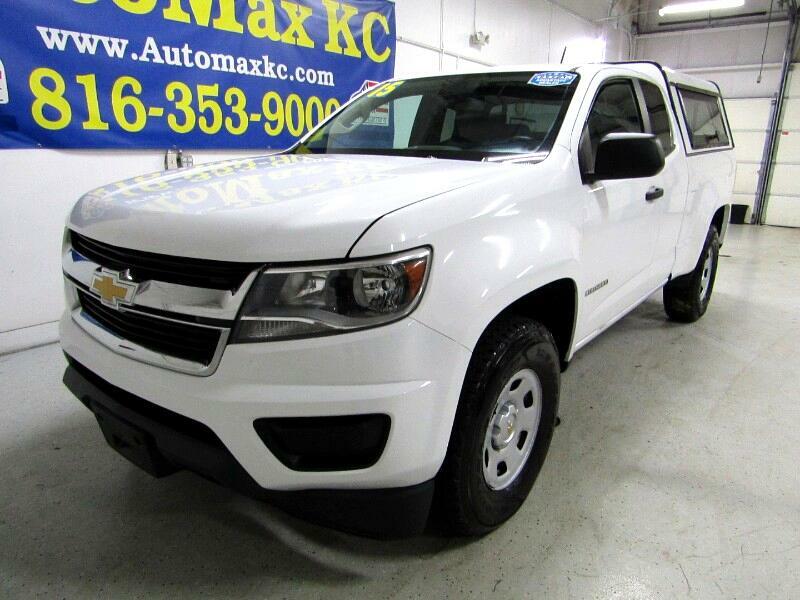 Visit AutoMax KC online at www.automaxkc.com to see more pictures of this vehicle or call us at 816-353-9000 today to schedule your test drive. Prices do not include state sales tax, finance charges, and emission testing fees. No Hassles price, No Gimmicks, No Misleading Advertising! * EPA Estimates Only ***Tax, title and license are extra. Message: Thought you might be interested in this 2015 Chevrolet Colorado. CUSTOMER SERVICE IS OUR PRIORITY, We offer competitive interest rates and ALL types of credit are welcome. We offer FREE CARFAX GUARANTEE. WARRANTIES are available on all of our vehicles. So buy with confidence @ AutoMax KC. Open Mon-THU, 09:00 am to 7:00 PM and Fri-Sat 09:00 to 6:00 pm, also open by appointment. Call for details @ 816-353-9000 or visit our website @ WWW.AUTOMAXKC.COM. Automax KC offers quality, affordable pre owned cars in the greater Kansas city area, Your most trusted dealer in the greater Kansas city area. Although every reasonable effort has been made to ensure the accuracy of the information contained on this site, absolute accuracy cannot be guaranteed. This site, and all information and materials appearing on it, are presented to use "as is" without warranty of any kind, either expressed or implied. All vehicles are subject to prior sale. Price does not include applicable tax, title, license, processing and/or documentation fees, our vehicle sales price may go up or down daily based on market value.